Genuine OEM Magenta Okidata 42918102 Image Drum with 42,000 page yield. 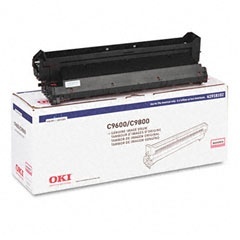 Type C7.Image Drum fits the following model(s): Okidata C9600, C9650, C9800. Okidata part number(s): 42918102.